Sally Hansen has released TWO new Miracle Gel collections as well as 6 limited editions shade. 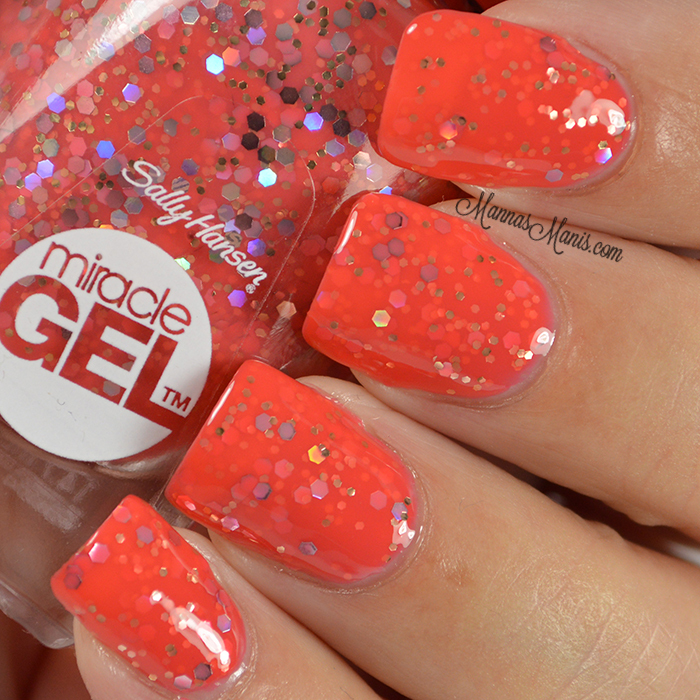 Along with the new collections, SH has released a new Miracle Gel top coat that now delivers 2x the volume and shine! 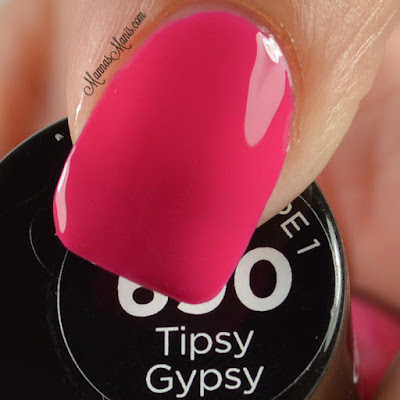 I have 3 from the Boho Chic collection to share with you today, as well as info about the others! 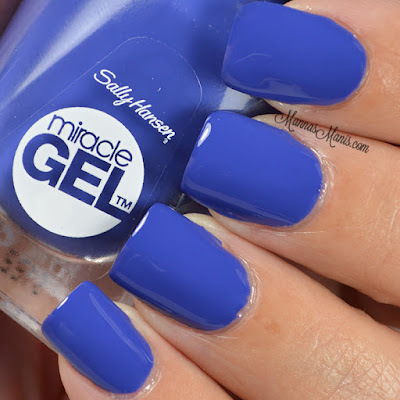 From Sally Hansen: "To coincide with the release of the new top coat, Sally Hansen announces a total of 20 new vibrant colors of Miracle Gel™." The Tribal Vibe collection adds seven new sun-baked shades to the permanent line up: Cream of the Crop (ivory with a hint of warmth), Tribal Sun (fiery coral like the setting sun), Rhythm & Blue (mirrors the hue of a bright blue sky), Totem-ly Yours (an appealing dusty rose), Per-Suede ( the color of rich reddish leather), Terra-Coppa (melds the gleam of copper with the earthy appeal of pottery) and Buffalo Nickel (a cool, classic silver white). The Boho Chic collection brings together seven festival-ready saturated shades for free spirits everywhere: Rhapsody Red (updates classic cardinal red with a blue undertone), Tipsy Gypsy (a bubbly, bright pink), Boho a-Go-Go ( a deep, creamy eggplant), Beatnik ( a statement-making cobalt), Mintage (a medium-toned mint), Fish-teal Braid (an aquatic turquoise), Miss Wanderlust (packs colorful glitter into a soft stunning coral). 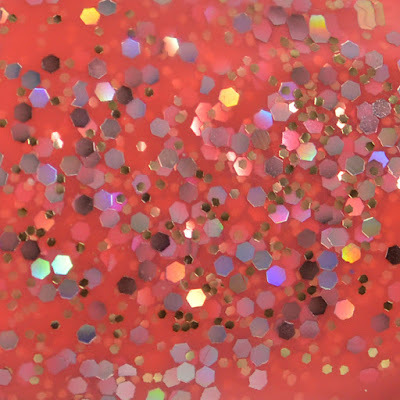 In addition, limited-edition duo packs pair the new Miracle Gel™ top coat with one of six summery colors: Blue Hue (a subdued, milk-glass blue), Teal Twin (a dark gemstone teal), Geo-Mint-ric (a vibrant spearmint), Get it Bright (the color of freshly sliced watermelon), Block Party (a tigerlily orange, tinged with coral), Up the Ante ( a medium-toned plum). 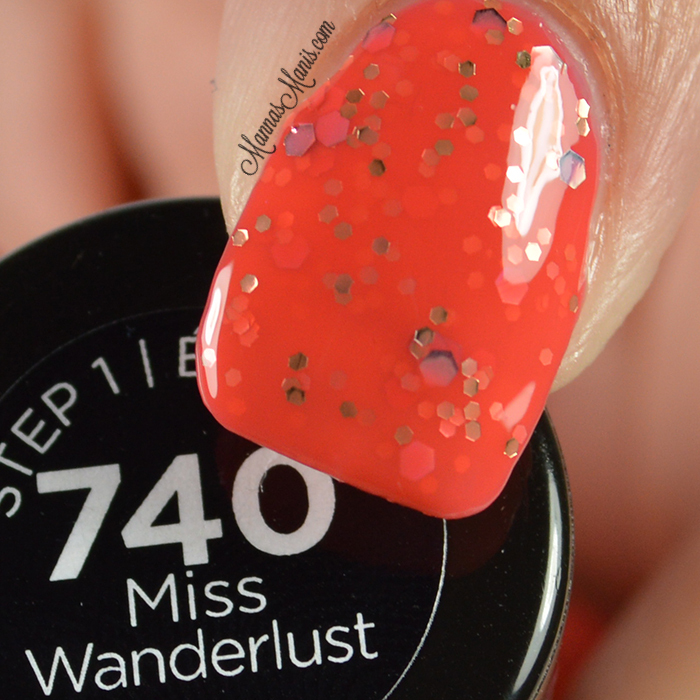 Miss Wanderlust is a gorgeous coral creme filled with holographic hex glitters of varying sizes. It leveled nicely and applied like a dream. No glitter fishing here, this one is so packed with glitter you're bound to get plenty with each stroke. 3 coats topped with Miracle Gel top coat. Tipsy Gypsy is a pretty bright pink creme. I had no issues with application, leveled nicely at 2 coats topped with Miracle Gel top coat. Beatnik was my favorite of the 3. 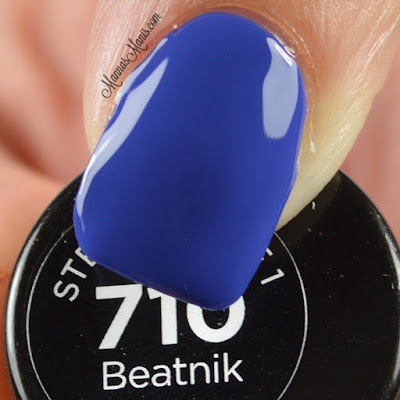 This beautiful cobalt blue creme is a ONE COATER! YAY! I did 2 coats for these pics for levelness. PRICE & AVAILABILITY: The new Miracle Gel™ Top Coat, limited edition duo packs, Tribal Vibe collection, and Boho Chic collection are available now at chain drugstores and mass retailers nationwide. Miracle Gel™ Color Coat and Top Coat cost $9.99 each and the limited edition duo pack costs $14.99. 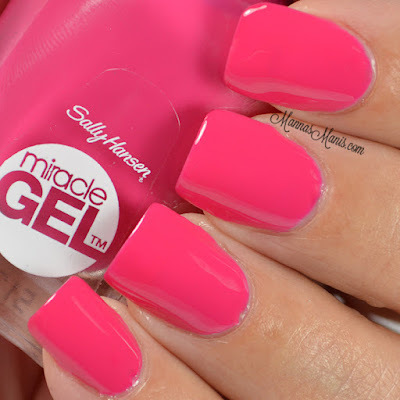 Have you tried Miracle Gel?